Solid koa top and upgraded tonewoods throughout. The Pursuit Exotic Concert Acoustic-Electric Guitar is one of Breedlove’s best-selling guitars. 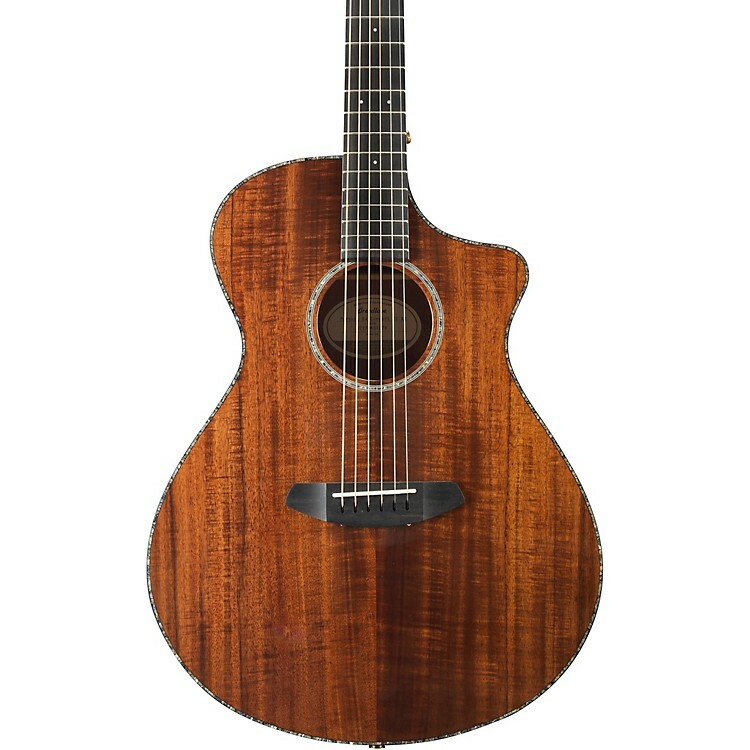 This popular cutaway guitar is stunning with a solid koa top and laminate koa back and sides. Grown in Hawaii, koa produces a warm comforting sound. For 2018 Breedlove have upgraded the fretboard and bridge to ebony and the electronics to LR Baggs EAS VTC. This is a stunning looking Pursuit Exotic. Includes a gig bag. Breedlove set out to design a collection of all-acoustic stringed instruments that meet the needs of your first, second...even third pursuit. Six-string, nylon, 12-string and bass – dreadnought, concert and parlor. All built with solid wood tops and features that deliver fantastic sound and playability and come with upgraded factory-installed L.R. Baggs EAS VC electronics. Every guitar is 100% set-up and quality-checked in Bend, Oregon Each has comes with a lifetime warranty. Pursue your dreams with Breedlove. Order today.